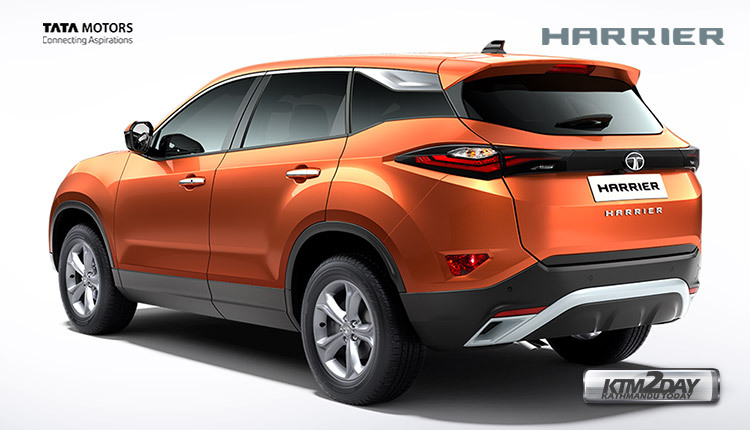 Yesterday we reported about Nissan Kicks launch in India and just after a day Tata has launched its much awaited Tata Harrier sub compact SUV in the Indian market. Bringing an end to year-long wait that saw the Harrier go from concept to creation starting at the 2018 Auto Expo. The new Tata Harrier is the new flagship offering from Tata Motors with the new Land Rover derived Omega Arc platform. The same platform is also shared with the Land Rover Discovery Sport and the Range Rover Evoque. Tata Harrier will take on the likes of the Hyundai Creta and the Jeep Compass in the compact SUV space. The Harrier is available in 4 variants – XE, XM, XT, and XZ and will be available only with the diesel variant. The price for base variant starts at INR 12.69 Lakhs. The Tata Harrier is 4598 mm long, 1894 mm wide and 1706 mm high. Wheelbase on the new Harrier is 2741 mm while the ground clearance of the SUV comes in at 205 mm. Harrier looks stunning and this is one of many USPs. It is designed to be a head turner. Based on Impact Design 2.0 design philosophy, Harrier has an aerodynamic profile with curves at the right places, which make it visually appealing. Key features include projector headlamps, dual function LED DRLs with turn indicators, electrically adjustable outer mirrors, R17 alloy wheels, flared wheel arches, 3D LED tail lamps and shark fin antenna. Harrier offers a comprehensive range of features such as 8.8-inch HD touchscreen infotainment system, 7-inch coloured TFT display, 9-speaker JBL audio system, steering mounted controls, FATC control, auto headlamps, push button start, cruise control, theatre dimming, power windows, fast charging slots, rain sensing wipers, and 8-way adjustable driver seat. The Tata Harrier has a Fiat-sourced 1956 cc, 2-litre 4-cylinder turbocharged diesel motor, that Tata motors calls Kryotec and is essentially the detuned version of what is available in the Jeep Compass. The engine makes 138 bhp of peak power and 350 Nm of peak torque. The engine is mated to a 6-speed manual gearbox. The Tata Harrier also gets three driving modes, Eco, City and Sport. The SUV also comes with driver assistant functions like – Terrain Response Modes (Norman, Rough, Wet), hill hold and descent assist, rollover mitigation, corner stability control, electronic stability programme, and electronic traction control. 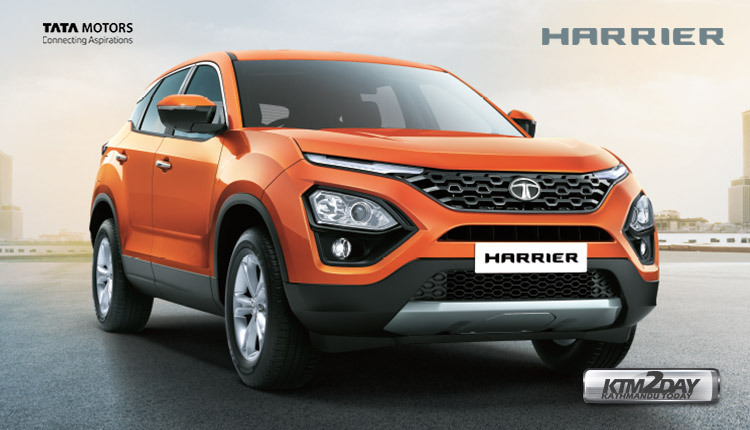 The base variant of the Tata Harrier features projector headlamps, dual function daytime running lights, electrically adjustable ORVMs, and rear parking sensors. While, the top-end XZ gets all the bells and whistles including a large 8.8-inch floating touchscreen infotainment system which is linked to nine JBL speakers. The Harrier’s prices are on par with its rivals and it seems to have nearly equivalent levels of equipment too. The launch of Harrier in Nepali market is expected to be in next couple of months. The starting price for the base variant will be around NRs.65-70 Lakhs .